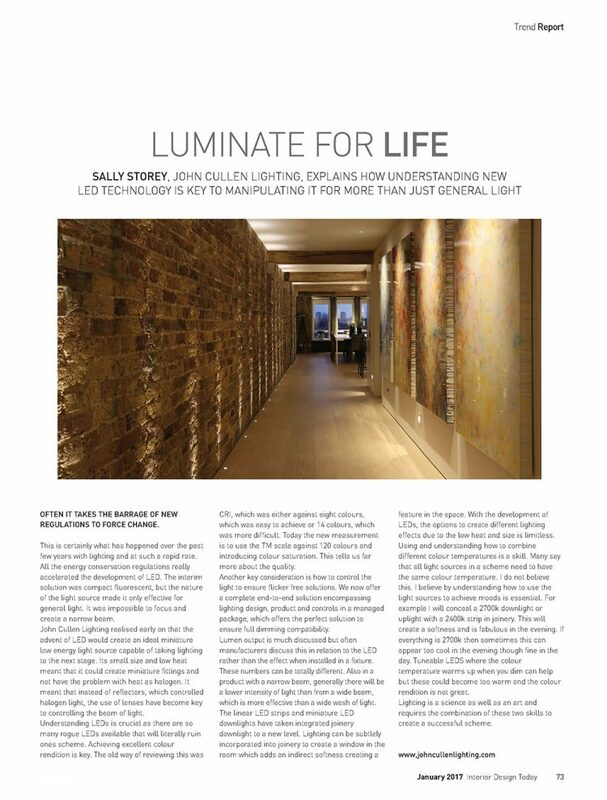 In this fascinating article in January’s Interior Design Today, our Design Director Sally Storey explains how to “Illuminate for Life” by understanding LED technology which is key to manipulating it for more than just general light. Sally shares her views on the important factors in selecting and controlling LEDs to ensure a successful lighting scheme. Read the full article here.